← Previous Previous post: I’m voting yes. A fascinating article. While UK ticketing sounds complex, did you get a sense of what the locals thought of it? Slightly off topic – it sounds like hiring a car would be the most convenient (and cheapest?) option for a family of four wanting to go outside main towns (eg national parks and coastline) in the UK? I appreciate that you wanted to “geek out” on trains, which sounds fantastic. Love your work! Seat61 is a great resource, and I completely understand that on your holiday you didn’t want to be tied down to a specific train. However if money is a focus, when I lived in the UK a lot of the confusion was explained and solved though a very useful website, http://www.moneysavingexpert.com/travel/cheap-train-tickets. From what I understand it is possible to break a journey on most UK rail tickets without penalty. So you could pop out to get lunch between connecting trains if you had time. Also you should check out the “All the Stations” YouTube channel, I’ve been really enjoying Geoff and Vicki’s three and a half month quest (sadly ending soon) to travel on trains stopping at every station in Great Britain. As it happens, fare gates on National Rail only date from about 5 years ago. Prior to that, the system relied on manual checks, primarily by on-board conductors as we do on V/Line here. From what I gather the aim was the usual one of cost saving rather than increased compliance – people certainly jump the gates in the many places where there’s no supervision. It’s an absurd system and impossible for any non expert to understand. Apparently you are not supposed to buy a train ticket to a specific station, which might be cheaper, and then get off a station or two sooner. I noticed that while first class on what is now Virgin Trains East Coast was quite good, it was pretty ordinary on the TransPennine Express and hardly worth paying the extra. @Roger, with all the mucking about booking and collecting a car (car hire places were pretty scarce in city centres where we were mostly staying) I don’t think car hire would have been more convenient unless we’d been making more excursions into rural areas. @Tony, there were on-board ticket checks too, at least on some of the trains. This seemed very consistent on the longer routes operated by High Speed Trains, but more patchy on the routes run by smaller trains eg 3 carriage Diesel Multiple Units. Geelong to Melbourne – cheaper to break the journey at Lara (and wait 20 minutes for the next train) and pay Zone 4 and Zone 1/2 (=1) separately, or at Sunshine (exit the barriers and re-enter, and change to Metro) and pay Zones 2/3/4 and Zone 1/2 (=1) separately. I imagine it would be the same for other regional lines? Okay, some thoughts from a “living in the UK and using this system all the time” perspective. the first thing to say is that – although an overall description like this *sounds* fearsomely complex, it’s not always like that for any given journey. 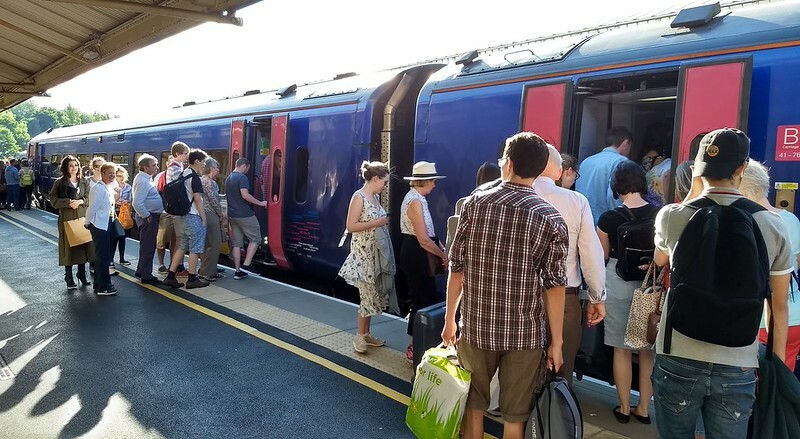 Indeed, most journeys will give passengers a “choice” of one operator and tickets whose prices vary depending on how far ahead you book and what time of day you want to travel. In this sense, it’s more like what airlines have done for years. 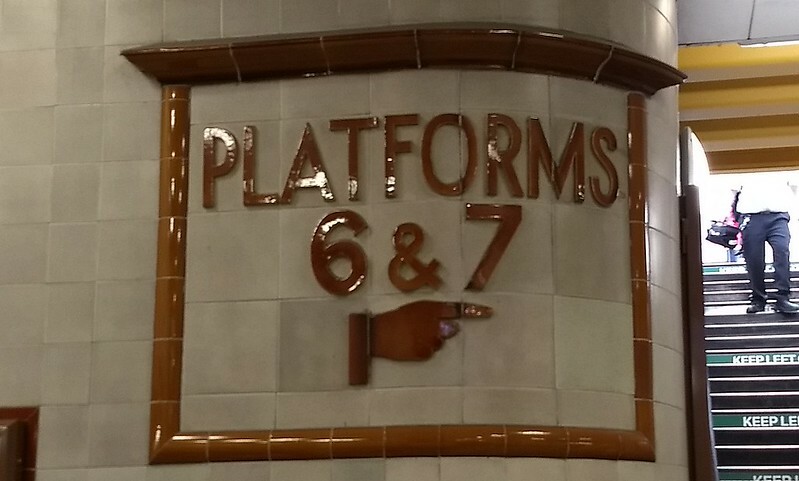 Some journeys, though, offer more choice and I – living in the Birmingham area but often having to work in London – have a choice of three operators on two lines. To that end, I can often “play” the system. if i go with london Midland I can sometimes get a one way fare of GBP6, which is astonishingly good value for a 190km journey. The down side is it’ll stop at every station and can actually take longer than the parallel coach (bus) journey at more than 2h30m. I’ve done it once. The fastest service is about 75 minutes, by Virgin. There I’ve had two singles for about GBP 12 – GBP16 each way when lucky. I once even found First Class tickets for a bit less than standard class! They include a free seat reservation, too, which is handy as these services are frequently very busy. More usually though it’s about GBP 20 each way and if i chose to travel in peak hours we can get into three figure sums, which my business (I’m self-employed) can’t swallow. The reason for this long explanation is that it’s not possible to say the system in “good” or “bad”; just more “it depends”. If we didn’t have the freedom of the privatised network, I know deep down that the fares would probably be simpler and that would be the end of those sometimes very cheap offers. Similarly, it was a private company that had the creativity to “invent” what became the Chiltern service in the first place. But that same “entrepreneurial spirit” is what encouraged Virgin to think of their trains and “planes on wheels”. That might appeal to some but to me it makes them feel cramped and full of plastic. Another issue is that the fragmented nature of the network allows different organisations to blame one another for failings. 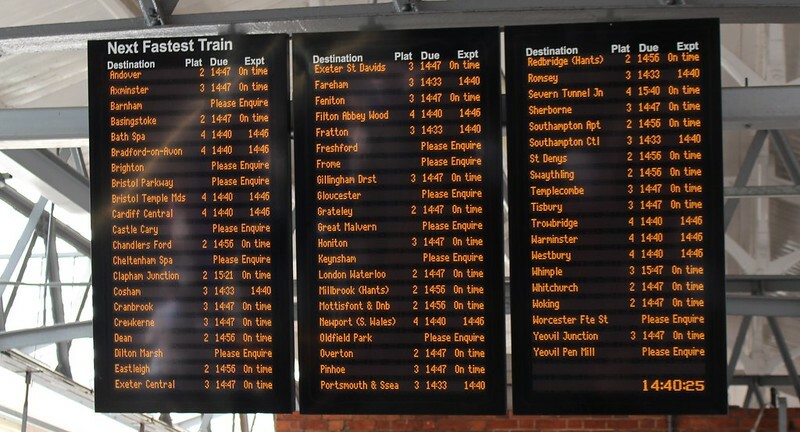 Delays and diversions are “blamed” on Network Rail (the public holding company for the track and signalling), failings at stations are blamed on another train company if they operate it and so on. 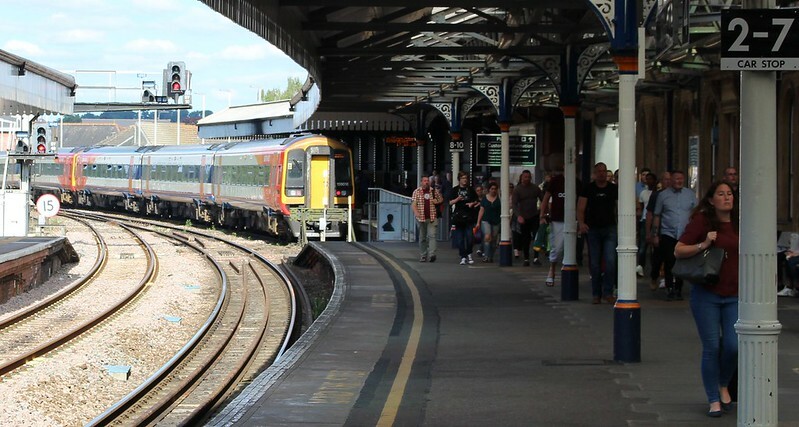 Some of the largest and busiest stations, shared by several operators, are actually managed by Network Rail itself, rather than one of the train companies. Britrail passes are seldom good value unless you’re doing a *lot* of rail travelling. But they are *simple* and if you don’t want to play the online fares game and go for simplicity they make some sense. there are also various Rover tickets available to anyone, even UK residents! As well as the Anytime/Off-peak/Advance tickets, the operators can also put in their own special offers and do from time to time. The various GroupSave discounts are excellent value and very little known. The small (and sometimes non-existent!) 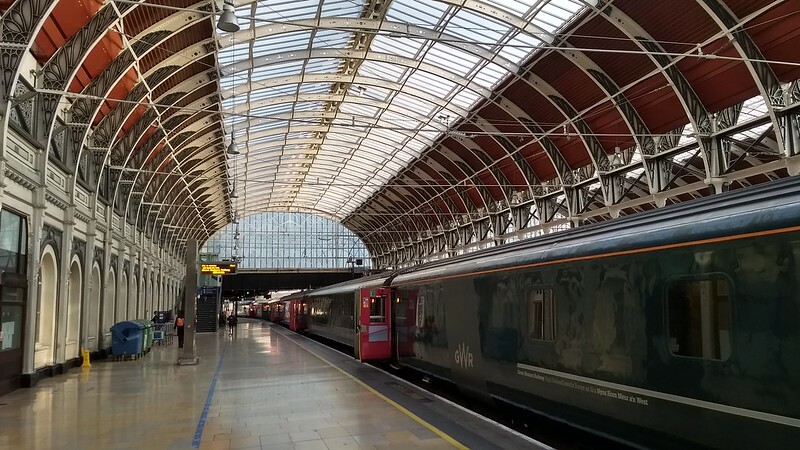 difference between single and return fares has long been a feature of rail travel in Britain. so much so I’m always mildly surprised to find that overseas out and back can sometimes cost two single journeys, although with the special offers that’s becoming the case here, too. “If your journey includes two ‘lead’ operators, it appears you’ll pay the cost of the two individual legs, simply added together.” if that is indeed the case, I’d never noticed it! But living in the centre of the country, most of my journeys are by just one operator, so maybe I wouldn’t? PlusBus is like GroupSave: a great idea, little known. it can sometimes be hard work getting bus drivers to accept the bloody things, too. I carry the leaflet around with me “just in case”! Splitting of fares is bizarre and I can’t understand why there are still cheaper A-c by buying A-B and B-C tickets. And having cheaper tickets for longer journeys and not being allowed to leave at stations earlier might equally be odd but is very much against the rules. I understand it’s punishable by transportation for life to Van Diemen’s Land. Although complex, there’s no denying that the system is very VERY busy. It carries more passengers now than since the 1920s, when the network was much higher. the controversy about whether we need a High Speed Network overlooks thew fact that it’s more about adding capacity than speed per se. The media struggle with that, though! 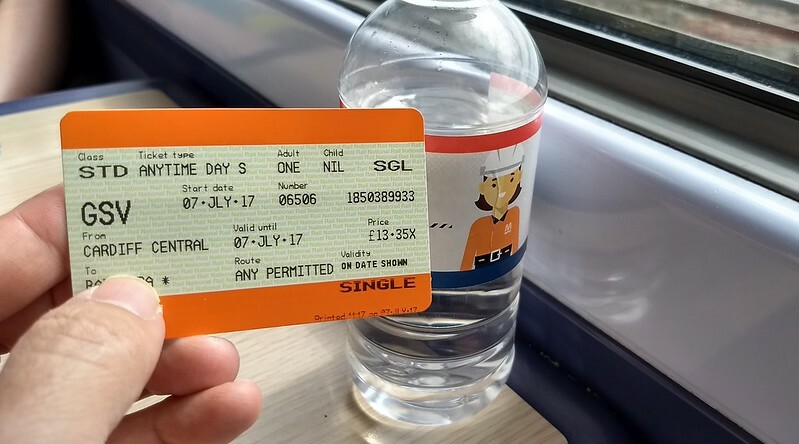 My one lasting memory of trying to catch trains in the UK was that some days it was cheaper to buy a “day return” ticket to some towns and only use one half of it than to try and get the cheapest one way/one person fare! Even the station staff agreed. Perhaps the intervening ten years or travelling in your group of four simplified this, but I found the ticketing and fares horrendous and incomrephensible in the early 2000’s.